Vijay's Mersal has made a collection of over Rs 230 crore at the worldwide box office. Ilayathalapathy Vijay's Mersal, which came as a Diwali treat to the Tamil audience, is reaching its first milestone on Saturday, November 11. The flick is completing its successful 25-day run in theatres across Tamil Nadu, Kerala and some overseas centres. With the release of its Telugu version Adirindi, the future of the Atlee Kumar-directorial at the box office appears to be bright. Meral was released to a huge hype across South India on October 18 in over 3,200 screens worldwide. This year, Vijay's film was the only big film to hit the screens during Diwali in Tamil Nadu as it managed to get over 600 screens. The lack of competition helped Mersal to get an earth-shattering opening. The positive word-of-mouth and the unnecessary controversy around some critical comments on GST and demonetisation pulled the viewers to theatres in big numbers. As a result, Mersal has grossed over Rs 225 crore at the worldwide box office in three weeks. After being postponed on a few occasions, the Telugu version of the Vijay-starrer saw the light of the day this week. Not surprisingly, it has got a good opening. 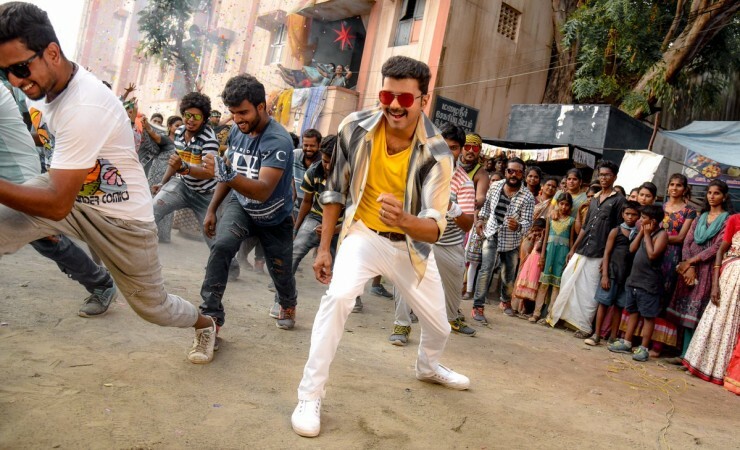 Going by the trade reports, Adirindi has minted over Rs 5 crore in the first two days to take the worldwide collection of Mersal to Rs 230+ crore. The Telugu movie is expected to do over Rs 10 crore in the next two days, thereby touching Rs 235-crore mark. The list is dominated by multilingual films with two-part Baahubali series in the first two positions by minting Rs 1,700+ crore and Rs 600+ crore at the global box office. Rajinikanth's Enthiran and Kabali are in the third and fourth positions by earning Rs 290+ crore and Rs 286 crore, respectively. Vikram's I is in the fifth place.